Heads up, fans of Mick and Keith: the exhibit Rolling Stones: 50 Years of Satisfaction will open at the Rock and Roll Hall of Fame Museum in Cleveland on Memorial Day weekend. It will include an extensive collection of Stones memorabilia garnered from every point of the band's half-century career. 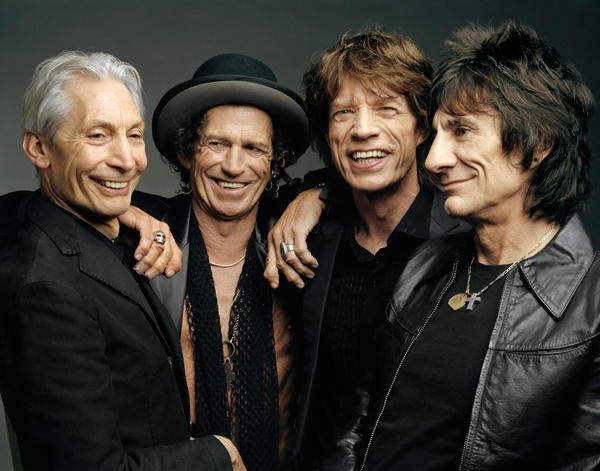 Officially opening on May 24th, the retrospective will chronicle the Rolling Stones' rise from their 1960s origins up to the present day and will command two and a half floors of the museum. It will remain open until March 2014. On display will be rare Rolling Stones artifacts, videos, texts and personal items, many of which have never been seen before by the public. During the exhibit's run, the museum will also host a wide array of free public programs – including interviews, films and lectures – that will delve into the legacy and significance of the band. "The Rolling Stones are the epitome of rock & roll," Greg Harris, president and CEO of the Rock and Roll Hall of Fame and Museum, said in a statement. "This first-ever exhibit gives us an opportunity to tell the story of one of the definitive rock & roll bands. The experience should be on every music fan's destination list this summer." The Hall of Fame exhibition is the latest event in the band's ongoing 50th anniversary celebrations, which have already included bombastic shows in London and New York. Talks persist of a globe-trotting tour sometime this year.